Look like a ravishing reindeer as you lead santa's sleigh this Christmas wearing this stunning ladies Fever Reindeer costume. 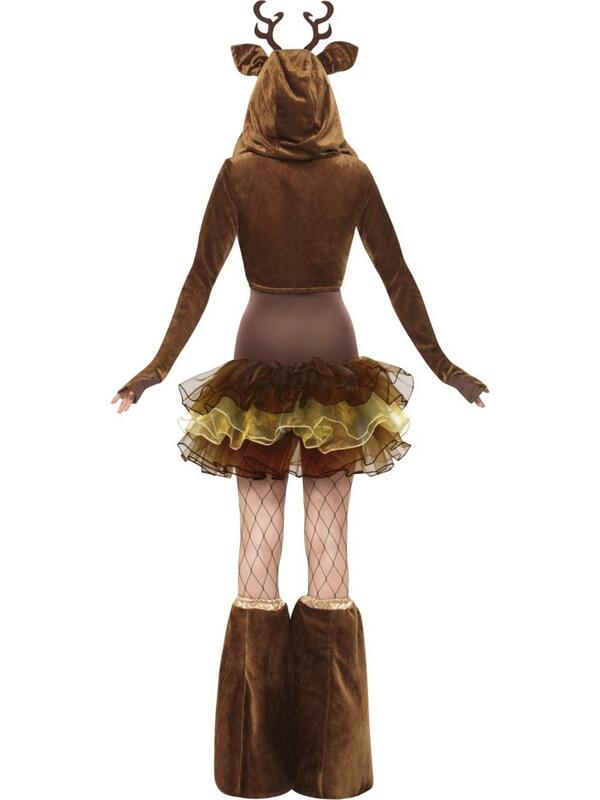 This outfits consists of a brown layered tutu dress with detachable clear straps and a lighter coloured heart motif across the chest as well as a matching jacket with attached hand covers styled to look like hooves and an attached hood featuring the instantly recognizable antlers and silk adorned ears. Completing this gorgeous animal costume is a pair of oversized boot covers styled with a co ordinating beige silk fabric edging to the top. A great and unique idea for wearing to a Christmas themed fancy dress party.